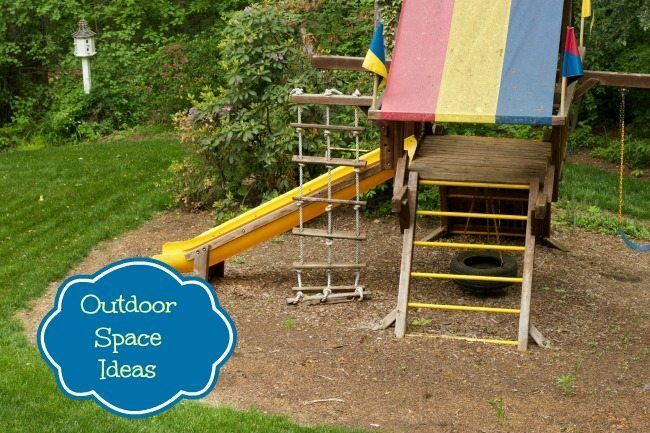 I was provided a promotional item in exchange for this post about backyard ideas. All opinions are 100% my own. When my second born child was about 1 year old, my grandmother gave us money to buy a swing set for our back yard. (He’s 11 now) it made it through a move and almost 10 years later some damage from squirrels and termites to name a few things. So now we have this amazing empty space in our yard that I wold love to transform into my patio of my dreams. While I would love to make it into an outdoor kitchen area, that probably won’t happen, so accessorizing this space into another outdoor living space is first on my list. Since the weather is mild in VA (for the most part) I really think we could use this space for several months out of the year. I decided to hit Wayfair.com for some inspiration for my patio space. I put together a Backyard IDEA BOARD with a lot more ideas you can check out too. If a full outdoor kitchen is not in the cards for my patio space, wouldn’t it be fun to have a Pizza Oven for entertaining? We already have a grill on our deck, so we don’t need two. I love to cook pizzas on the grill, it is a fun way to mix things up for outdoor BBQ’s and who doesn’t love pizza? Since this patio space is closer to the wooded area of our property, we always thought we would buy some Adirondack chairs for that space. The ones from Wayfair.com come in multiple colors and even this natural one that you can paint yourself. All we would need is a few side tables to compliment the seating space. Since our new patio space is focused on outdoor entertaining, we might skip the outdoor rug idea and use that for our deck patio to add color up there. One more item on my Patio Dreams Idea Board are these Tiki Landscape lights. Our house lights don’t really light up that area so having a few of these around the space will really create a great mood for entertaining guests or just roasting marshmallows with the kids. 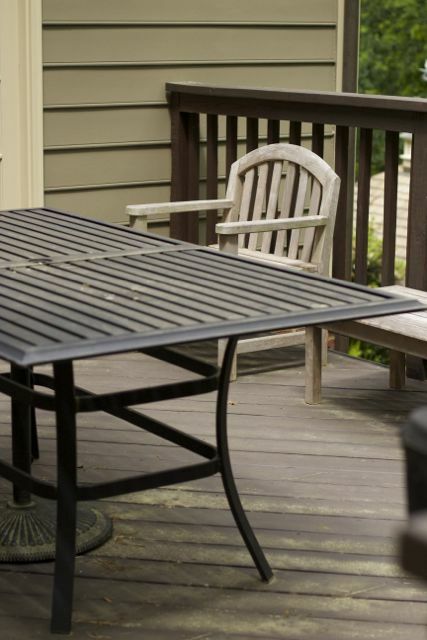 What Backyard ideas would you add to make it the Patio of your dreams? Or if it is already, what one item that guests always rave about? What a fun project! I love outdoor spaces and DIY ideas, gotta have that chair! I’d add some mosaic tiled planters! Love those tiki lights! All of these ideas are beautiful and I love your fun playscape! My backyard needs a serious facelift, but you’ve giving me some great ideas!